It is that time of the year again… the HELP Jamaica! Charity Calendar 2018 is finally out. Christmas soon come…. Get your perfect Christmas gift! 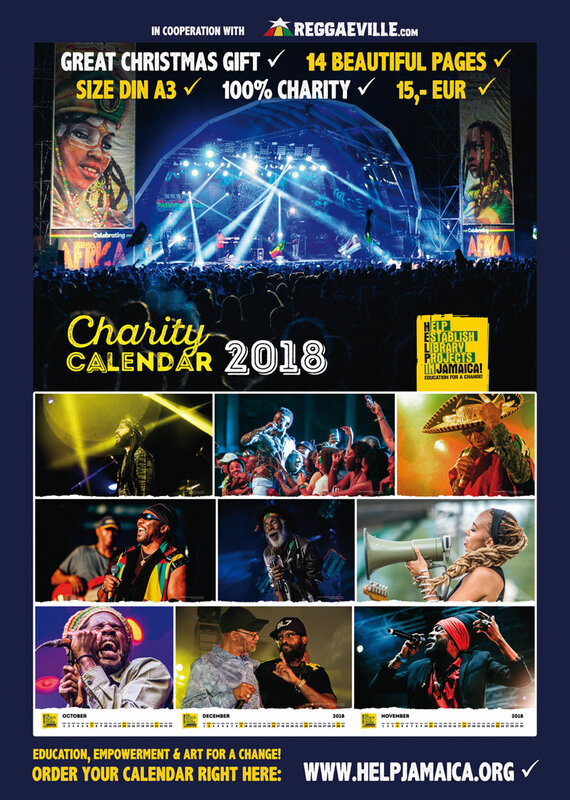 Give out the calendar to somebody as a present and make a donation towards HELP Jamaica! at the same time! Reggaeville had the privilege to contribute the photos for the calendar. All photographers involved, as well as the graphic-designer Liebetanz never hesitated to contribute their work to the good cause and free of costs. Big up! Make sure to order your copies from early! The limited edition (only 500 copies!) gained fans from all over the world and turned into a collectors-item already… So do not wait with your order and secure your first Christmas gift(s) from early – before the year to year hustle starts and this offer is gone! Details: High quality calendar, 14 pages (size: DIN A3) offset-printed. Carefully shrink-wrapped in transparent foil and delivered in special cardboard-box to protect and ensure secure shipment!